Taizhou Huangyan Okay Mould Co.,Ltd. 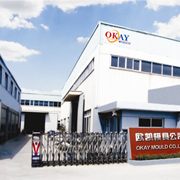 located in Huangyan,Taizhou City.We are specialized in designing and manufacturing plastic molds, plastic injection and assembly, including home appliance moulds, Automotive parts moulds,chair&table moulds,bucket &dustbin moulds, crate&pallets moulds, thin-wall moulds etc. In respects of developing design,manufacturing and processing, we always insist the priciple of making the high quality moulds to clients by professional technology and advanced equipments, and our aim at producing molds with precision, complexity, various size and longer lifespan. We have professional mould designer and technicians in an effort to analyze, design plastic products: hot-runner and cold-runner moulds by using the software of Auto CAD、UG、PRO-E、Solidworks freely. We have utilized modern equipment such as CNC machining centers, EDM machines and EDM wire cutting machines. Our purpose is "keep developing to meet worldwide clients' demands." We ensure to meet your special demands, both OEM and ODM orders are welcome. Please contact us today for more about information plastic injection moulds and injection molded parts.